Players of slot developer Barcrest’s jewel-themed video slot, Crown Jewels, may get a sense of déjà vu if you’ve ever come across Sheriff Gaming’s sci-fi-tinged slot, Extreme, WMS Gaming’s innovative diamond-fest, All That Glitters, or NetEnt’s starry space-age slot, Starburst. 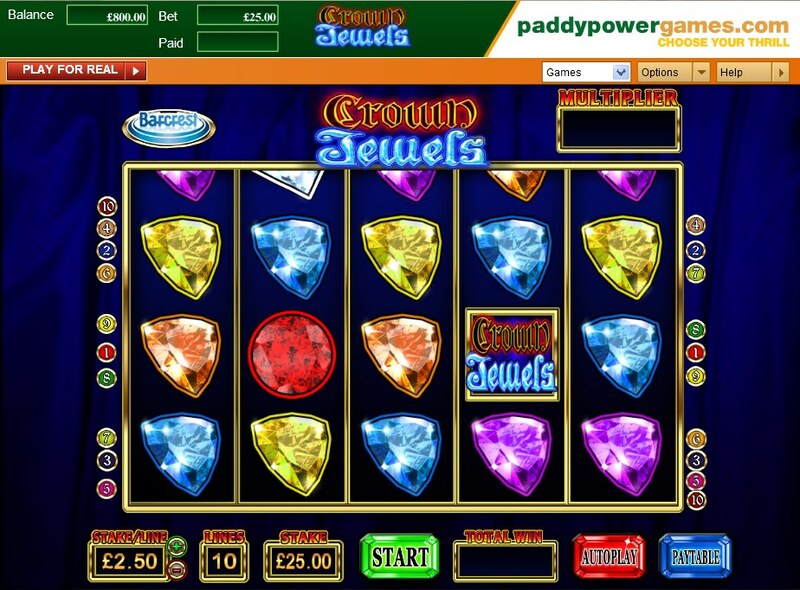 Crown Jewels, a 5 reel, 10 pay-line slot, treads similar ground to that trilogy of games, keeping things simple with only the 10 pay-lines, a basic graphical theme (it’s diamonds, and, er, not much else) and a key twist on the Wilds. While Starburst has expanding, substituting, ‘Starburst Wilds’, and All That Glitters has Cascading Reels, where a winning combo disappears from the reels, allowing the symbols above to take their place, thus making potential new winning combos, Crown Jewels features Avalanche Reels. Essentially, it’s the same feature – get a winning combination and the combo will explode and vanish, allowing symbols above to replace them. It’s a fun twist on regular Wild play and can easily lead to some big wins. Speaking of Wilds, the Crown Jewels logo is the game’s Wild, playing across all reels and substituting for every single symbol. It pays out a top jackpot of 500x the line bet if you get five, so it’s definitely one to keep your eye on. Not only that, but after every cascade, you are awarded a random multiplier of between 1x and 10x. Where Are The Bonus Games? That’s your lot for bonus features in this game – no Scatters, no free spins, no seen-it-all-a-million-times Click Me Bonus game, just simple, honest slots fun. 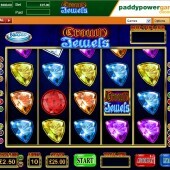 For fans of the simple slot with minimum fuss and no-nonsense big payouts, there’s plenty to enjoy here from the kind of slot Barcrest excel at. You won’t be blown away by the graphics – eight different colored jewels and a logo are your lot – and there are no fancy-pants animated cutaway sequences here. However, if you’re tired of watching a comedy jester pulling faces at you through your game session, or yawn at the thought of yet another bank heist themed slot, try out Crown Jewels today. It could provide a stash of a completely different kind.